Globalization has some extra advantages for English speakers, and one of them is the opportunity to teach English in countries all over the world. 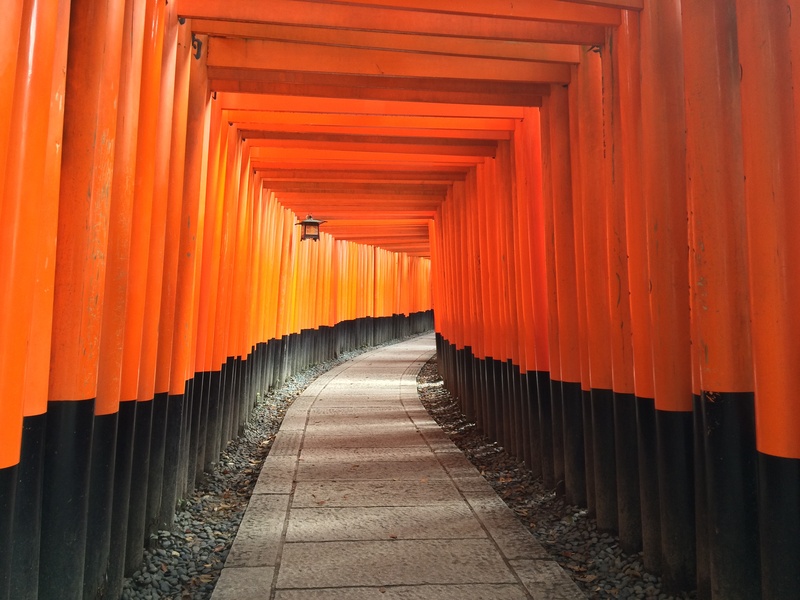 Between degrees I spent a year teaching in English in two very different parts of the world — Japan and Turkey — and gained a whole new outlook on how education shapes our behaviours. It wasn’t very long ago that you could show up in Asia with a passport from an English-speaking country and get a job teaching English. These days it’s best to have a qualification, many of which are available through online courses, and many countries require a university degree before employers can sponsor a working visa for you. If you have a working holiday visa it’s easier to find a temporary job to get your foot in the door. Waking up in your Japanese apartment next to a rice paddy. You roll up your futon and tuck it away in your closet. As you slide your paper doors open a cross breeze rushes through the place and keeps it cool on this warm summer morning. Your Japanese kindergarten students are overjoyed to see you when you walk into the classroom. You fill with energy from their excitement like a performer on stage. You sing five English songs, play two English games and its so rewarding to see how quickly the children can follow your lead. After school you ride your bicycle through narrow streets with quaint irrigation channels on each side to the grocery store for a snack. You look over the dozens and dozens of bento boxes full of Japanese treats. Sushi, tempura, onigiri, tako yaki — everything you can imagine in a variety of assortments available for you to eat. At dinner time, you ride through the maze of streets in the town centre, each with a lantern in front displaying Japanese characters to describe what sorts of foods are found inside. You finally find the one you were looking for — an izakaya, which serves tapas-style Japanese food with cocktails — and meet a big group of Japanese friends there who do all the ordering for you. As each new dish arrives you discover your new favourite Japanese food. Friends serve each other first and you always have a cocktail in front of you. After dinner you all ride your bikes together to your favourite rockabilly bar and you laugh into the night. Some of the other teachers from your school (who are also your next door neighbours) show up, you move on to a drum night, or a latin jazz bar and are invited onto stage to participate. At the end of the night you bike home with your colleagues and enjoy the moon over the rice paddies, then you each retire to your tatami matted bedrooms and fall asleep with all the doors and windows open to keep the breeze passing through. You don’t have to worry about theft or safety — this is possibly the safest country in the world. I knew I wanted to live abroad, but I didn’t know where to start. Every day I was developing a new plan. Monday it was Africa. Tuesday it was Europe. Wednesday it was South America. My brother was teaching English in Japan and invited me to stay with him while I looked for work. Exhausted from trying to make a decision, I reluctantly flew to Japan expecting to stay for a few months, and ended up loving it so much I moved back the following year and then again two years later. I taught English classes at a kindergarten for children aged 2-5, where the Japanese teacher stayed in the classroom and was responsible for discipline while I got to sing and play games with the children in English for 15-45 minute intervals, depending on the age of the class. I worked 2.5 hours per day during normal school hours, but it required a lot of un-paid preparation of my own material and an enormous amount of energy. It was more like being an English performer than normal classroom English teaching, and was incredibly fun. School is such an agent of socialization and culturalization and I felt very privileged to have front row seats to such a different and extraordinary culture. 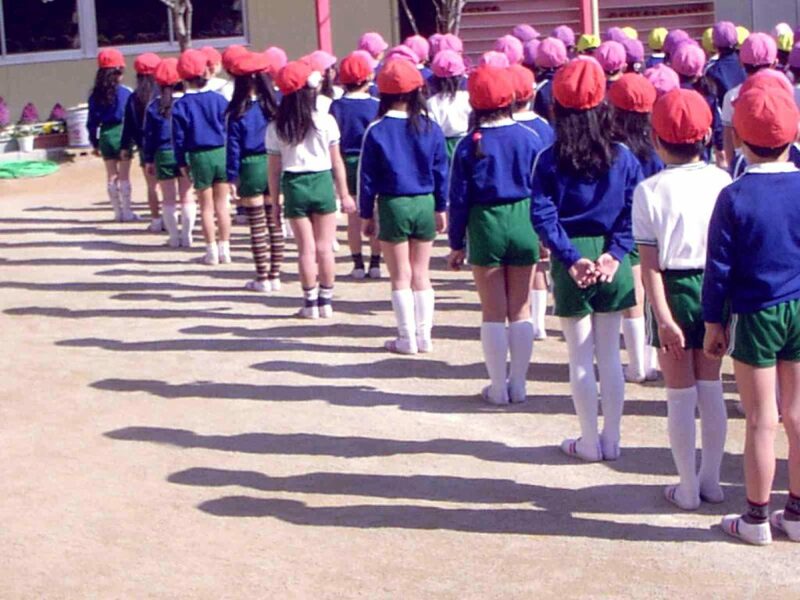 It was very interesting to see how the children could quickly be organized into straight lines, move in unison at no fewer than eight assemblies per week, and how when an individual was asked a question in class, they would consult their neighbouring classmates before delivering an answer. And parents had little role in disciplining their children — this was within the purview of their teacher (example: if a child were caught shoplifting, it would be the teacher and not the parents who were phoned to discipline the child). In the evenings I taught at an after-school / after-work English program owned and run by an American-Japanese couple. These classes followed an international curriculum which was easy for me to follow, so I never had to prepare my own material. The children I taught were aged 6-12 and it was more rewarding to really see how the children progressed. On Saturdays I also taught conversational English to adults where I had 45 minutes one-on-one with a student. Sometimes they prepared the material, sometimes they asked me to prepare material based on what they requested. I had to make myself available for 5 hours but was paid 1 hour for whichever 45-minute blocks were filled, with 15 minutes in between to prepare for the next block. This was more personal, and I didn’t always click with every student, and sometimes the older students asked questions I couldn’t really answer (‘What’s the difference between “look”, “watch” and “see”?’). But it gave me more exposure to students’ thoughts and perspectives. I also spent a summer in Istanbul teaching English and swimming at a 6-week English immersion sports camp. I arrived 3 weeks before the camp to organise myself and develop the program with the other teachers. The children had two English classes, one basketball class and one swimming class every day, and were aged 6-12. We were with the children for the whole day including lunch. How our Turkish students interacted with each other and their teachers was in stark contrast to my experience with Japanese students. While the Japanese children could form a line and walk in unison through the halls and down to the assembly field in under 2 minutes, it took around 30 minutes to organize the Turkish students to get their bags and walk from the classroom to the swimming pool (about 100m away), and I never managed to get them to one side of the corridor let alone in a line. Many of the games and exercises that worked very well with Japanese students did not work well with the more individualistic and independent Turkish students. It was a fascinating crash course in socialization via education that I never would have learned without the three contrasting experiences of my own schooling vs. Japanese schooling vs. Turkish schooling.